atheism | Is Christianity True? I come across these “objections” repeatedly online, in conversation, in debates, talk shows, and the like. These are such silly objections against the existence of God that it is ludicrous that an answer has to be brought up. But, since they keep appearing and reappearing, they must be dealt with. In the interest of being fair, as well as over compensating, I double with a list of four silly arguments Christians should avoid which are graciously provided by Dr. Douglas Groothius at the bottom of this post. This is a real objection one can find online, and it is as silly as it sounds. There is even a church dedicated to this objection (more of a parody than to be taken seriously) which is also called Pastafarianism. It is a common meme found online as is seen from the “inspirational” poster here. It has even been manufactured for car decals. The Flying Spaghetti monster argument is meant to parody belief in God by showing that since there is no evidence for a Flying Spaghetti monster, you shouldn’t believe in the Flying Spaghetti Monster. Likewise, since there is no evidence for a God, you shouldn’t believe in God. The real lesson to be learned from the case of the Flying Spaghetti Monster is that it shows how completely out of touch our popular culture is with the great tradition of natural theology. One might as well be speaking a foreign language. That people could think that belief in God is anything like the groundless belief in a fantasy monster shows how utterly ignorant they are of the works of Anselm, Aquinas, Leibniz, Paley, Sorley, and a host of others, past and present. No doubt part of the fault lies with equally ignorant Christians who have no answer when called upon to give a reason for the hope within and who therefore give the impression of arbitrary and groundless belief. But it must also be attributed to poor education, intellectual laziness, and a lack of curiosity. Given the revival of natural theology in our day over the last half century, we have no excuse for such lame caricatures of theistic belief as belief in the Flying Spaghetti Monster. In an attempt to mock and ridicule religion (as is the great commission of the atheist as prescribed by Richard Dawkins at last years’ Reason Rally), atheists will compare belief in God to something ridiculous, that anybody would regard as false, like Santa Claus, or the Tooth Fairy, or even what they call the Flying Spaghetti Monster. The Flying Spaghetti Monster came as a response to the advocacy of Intelligent Design being taught in schools. The very concept is as ridiculous as teaching students about the Flying Spaghetti Monster. However I think there are at least 5 reasons the Flying Spaghetti Monster parody doesn’t make sense. 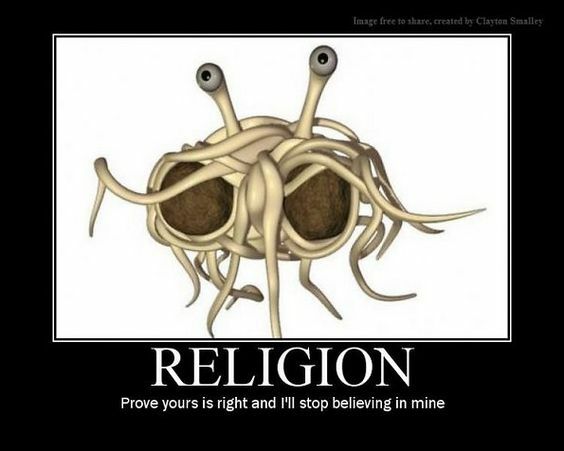 Sure, there is no evidence for a flying spaghetti monster, but there are plenty of arguments for the existence of God. So this argument from a spaghetti monster does not counter any argument for God’s existence, because the spaghetti monster example is assuming that there are no arguments for God. Now, that doesn’t mean any of the arguments for God’s existence are good arguments, but that is what needs to be investigated. Spaghetti monsters don’t provide evidence against God. The spaghetti monster is physical, temporal, and material and the concept of God is non-physical, eternal, and immaterial. Since the spaghetti monster is a material object extended in space and time and can’t be the cause of space, time, matter, and energy. 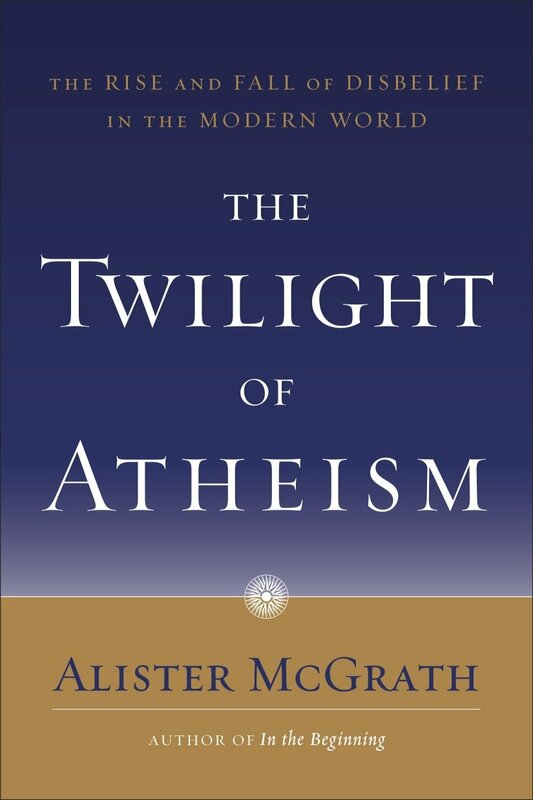 2.We are all atheists about most of the gods that societies have ever believed in. Some of us just go one god further. What I mean is that if you apply the same reasoning to your god as you do to every other god (your “common” sense) then you’ll see that your god doesn’t exist, either. The idea, I take it, is that all gods are on a par, and so, given that everyone is an atheist with respect to some gods, one may as well make a clean sweep and be an atheist with respect to all gods. You don’t believe in Zeus or in a celestial teapot. Then why do you believe in the God of Isaac, Abraham, and Jacob? None of us feels an obligation to disprove any of the millions of far-fetched things that a fertile or facetious imagination might dream up. I have found it an amusing strategy, when asked whether I am an atheist, to point out that the questioner is also an atheist when considering Zeus, Apollo, Amon Ra, Mithras, Baal, Thor, Wotan, the Golden Calf and the Flying Spaghetti Monster. I just go one god further. “Debunking the One God Further Objection ” by Edward Feser | Strange Notions. “Why the ‘I Just Believe in One Less God Than You’ Argument Does Not Work” by Michael Patton | Credo House April 13, 2011 – Michael Patton differentiates the important distinction between belief in other gods and the belief in the Christian God. 3) The statement–as with many false or irrational statements–proves too much (or too little). If one takes the argument to mean we are all atheists to multiple gods, but the skeptic is just an atheist of one more god, then the argument just confuses what is means to be an atheist. The Christian theist (or Muslim or Jew) are NOT atheists. Atheism is the believe that God doesn’t exist. Theists (whether Christian, Islamic, or Jewish) or not atheists at all. This claim that it is irrational to believe in Odin, Thor, Zeus, Baal, etc. is irrational, thus belief in theism is irrational fails to grapple with the arguments for theism. It is just an attempt to avoid the work of looking at arguments for (or against) God. As this last point points out, both objections are just attempts to avoid looking at arguments for God’s existence, which there are plenty (kalam cosmological argument, moral argument, teleological argument, ontological argument, contingency argument, and dozens of others). Both of these objections against theism have run their course and (unfortunately) will pop back up here and there because of the internet, but please, lets put these to rest. Nonstarter #2 People do not die for a lie. But the apostles died for their belief in the resurrection of Jesus, so they must have died for the truth. Nonstarter #3: Evolution (meaning Darwinism) cannot be proven because it is not scientific. Science demands repeatable and empirical observation: things that can be observed through a microscope or a telescope or chemical reactions in a test tube. Therefore, evolution is unscientific and has no final claim on reality. Grootuis is author of Christian Apologetics, Truth Decay, On Jesus, Philosophy in Seven Sentences, and others. Professor of Philosophy, Denver Seminary since 1993. Head of The Apologetics and Ethics Masters Degree Program and Co-Director of The Gordon Lewis Center for Christian Thought and Culture.